Furnished to a very high standard with air conditioning and central heating throughout, this property caters for all, no questions asked! Keep in touch with Free WI FI Internet connection & Sky Sports Available, along with a Playstation and Wii for the kids! This stunning 4 bedroom villa with 2 bathrooms is great for families, young couples, older couples and is wheelchair accessible. With large terrace areas, built in BBQ and a private pool to the rear. This villa really does offer endless luxury and security. En-suite bathroom with shower, double sinks, toilet and bidet to bedroom 1. Shower room off hall with large shower area, sink, toilet and bidet. Plasma TV with Cable inc. Sky Sports, DVD Player, Playstation 2 and Nintendo Wii complete with games, vaulted ceilings, fire place, leather sofas, coffee table. Dining area with modern table and leather chairs. American style fridge/freezer with water and ice dispenser, sink, oven, electric hob, microwave, toaster and dishwasher. El Valle golf resort on site is quickly becoming the course in the South East of Spain, with rave reviews from all levels of ability. We have 2 sets of golf clubs at the villa for your use. Outside: The villa has its own private pool and Gardens giving you unlimited privacy, with a undercover barbecue area with table and chairs. The property also boasts its own private driveway accommodating up to 3 cars. Directly opposite the villa is a green area with children's play ground. Polaris World recognises the importance of security. As a result, a security service operates 24 hours a day with CCTV cameras and control of access to the El Valle resort. Utility Room: Sink and washer/dryer. Cleaning / Towels / Linen / Maid service: All towels and linen are included. For rentals of 1 week or more, a linen change is available upon request. Cleaning and linen is payable locally. Had a lovely stay at this Villa. Would 100% recommend and would definitely stay here again! It is on a nice golf resort with a supermarket, restaurant/bar and small gym all on site. However a car is a must if you want to go to the beach or anywhere else as there is no public transport and the resort is in a rural location. There are many beaches with in a 30 minute drive as well as local markets and other amenities. What a great place to stay, villa very clean and tidy. Having a pool was wonderful . 10 min walk to club house where there is a nice restaurant and local supermarket. I would highly recommend this villa. If you want a round of golf or use the tennis courts this is all on site. Will definitely go back to this villa. 1st the positives. The villa is nicely decorated and furnished. The location on the El Valle Golf resort is quite good only 10-15 min walk to the clubhouse where the shop and restaurant/bar provide good food and drinks. We were disappointed to learn that the hot tub is only available from October as that was one of the facilities we we really looking forward to using in the evenings. The air conditioning also did not work. We were told it had failed a week or two ago and a replacement unit was being sought. This did not arrive during our stay which was very disappointing as if we had been forewarned we would have cancelled and booked elsewhere. A/C is an essential, not an optional extra in our view given the high temperatures and also not wanting to keep windows or doors open during the night to allow bugs and other nasties to get in. Kellie the owner while sympathetic offered no compensation for the lack of air con or for misrepresenting the availability of the hot tub in the villa description. Suffice to say we would not think of re booking with Kellie again, sadly we feel badly let down. Beach activities include fishing sailing, snorkelling, scuba diving, jet skiing and wind surfing, all can be found within a 20 - 30min drive. The Polaris World resort of El Valle is easily accessible via both Murcia-San Javier and Alicante airports. Murcia- San Javier airport is 20 minutes. Alicante airport is 55 minutes away. We would recommend the hire of a car. El Valle Golf resort is situated within the region of Murcia and is just a 25 minute drive from the Costa Calida beaches. The Mar Menor is a popular destination for all ages with the beautiful beaches of the Mar Menor lagoon that over looks the La Manga strip. Other than the fantastic choice of Golf courses, beaches and other water sports in the area there is something for everyone to do and see, including visits to the historic cities within the area of Murcia, Cartagena and Lorca. Shopping - The city of Murcia boasts a wealth of shops and department stores which will certainly keep you busy on a day filled with retail therapy. On an evening, why not try out one of the many traditional Spanish restaurant and tapas bars Murcia City has to offer. 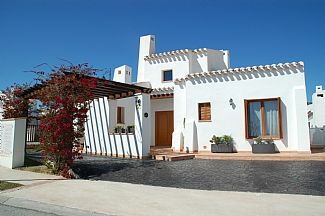 Nueva Condominia and the Thader Centre (15-20 mins drive towards Murcia). Two storey shopping malls with all your favourite shops from Primark to Jack Jones to C&A, these mall's have endless clothing shops, as well as electrical, furniture, food halls and supermarkets such as Eroski and Al Campo, you are sure not to come home empty handed. Both of these centres contain cinemas and 10 pin bowling. Dos Mares (15-20 mins drive) is a shopping centre in San Javier with a large selection of retail outlets and an extensive food hall. Worried about keeping the children entertained? Why not try the newly built Terra Natura, just opened its doors this year, Water park and Zoo will keep not only the kids, but the whole family entertained and is just a 15min drive from the El Valle resort. Murcia and Cartegena are both cities rich in the culture and history of Spain. Murcia's cathedral is over 600 years old and it's architecture is stunning, whilst Cartagena boasts a history dating back to the year 227BC. Booking Notes: Please note the £250 security deposit is to be added to the rental cost which will be refunded within 14 days of your departure, once the Villa has been checked and all is OK. There is a local charge of 120Euros for exit clean costs for up to 4 persons and then 10 euros per each additional person.Payment is normally made via bank transfer or cheque and the full balance must be paid 8 weeks prior to travel. A deposit of £250 per week booked must be paid to secure the dates that is non-refundable. Changeover Day: All clients must vacate the villa by no later than 10am on the day of departure, Arrival time is after 4pm unless agreed with management company Notes on prices: 10% discount for bookings 3 weeks or more. For rentals of 1 week or more, a linen change is available upon request and is payable locally. Refundable breakages/security deposit of £250 is required at the time of booking, to be refunded within two weeks of your departure (subject to satisfactory property inspection). Cot and Highchair available to hire Priced from €5 per item per day. Welcome packs €25. Celebration packs available.